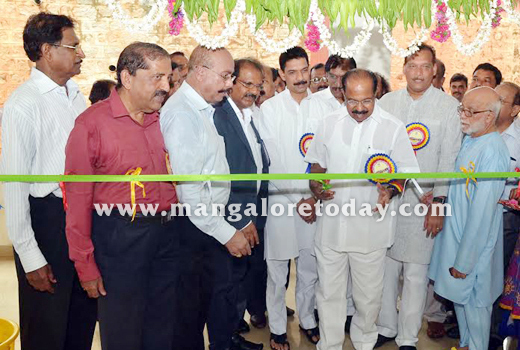 Mangaluru, June 23, 2015: Speaking at the inaugural of the new building of business administration block (second phase) at the University College campus in the city, M. Veerappa Moily former Union Minister June 22, appealed to Mangalore University to develop its MBA department into a world-renowned centre for excellence. The alumni association of the college has piloted construction of the new building with generous aid from MRPL - Mangalore Refinery and Petrochemicals Limited, Bharat Petroleum and members of Parliament as well as state legislature. Moily said the MBA section should not remain a mere postgraduate centre. The Vice-Chancellor has a responsibility of developing it into a centre of excellence, he said. He recalled that in a recent meeting, leading banks of the country have promised their support to develop the business administration of Mangalore University. Looking back in time, Moily who is also the honorary president of the alumni association, said the college has produced a number of luminaries. Though it had all the facilities, unfortunately it slipped into a state of disarray about two decades ago. The college is now regaining its past glory, he said and urged the Vice-Chancellor to get a good library too for the college. 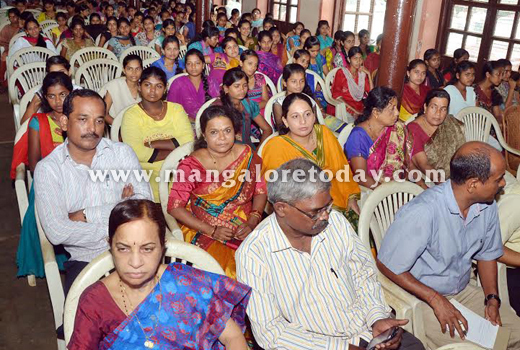 Speaking on the occasion, Dakshina Kannada MP Nalin Kumar Kateel said the college had been doing good service to society, as majority of students are not only from economically weaker sections, but also weaker educationally too. It is not a great matter to produce meritorious students out of those who had scored 90 per cent and above marks in PUC; but it is indeed a great service to turn average students as meritorious students, he said and also congratulated the association for taking the initiative to develop the college. DK District in-charge Minister B. Ramanath Rai, MLC Ivan D’ Souza, association president Sundar Nayak, general secretary V. Dharmanna Nayak, college principal U. Sunanda, retired principal Satyanarayana Mallipatna were also present among a large number of people.